Don't freak out or anything, but people are going nuts over cheeky monkey Prince William dropping a hint that there might be another lil' royal soon. 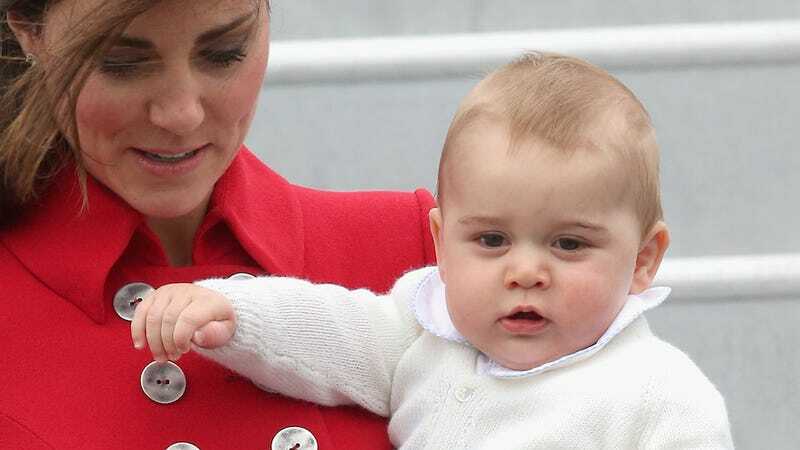 More accurately, they're going nuts because Prince William, who is still on that Royal Tour in Australia and New Zealand with Kate and George, said something that people are assuming means that baby number two has indeed been deployed. "It's just very normal for people to say, 'Well, when you guys have kids …' And then when I say, 'Actually, I don't think we're going to do that,' people will say, 'Oh, you say that now …' It doesn't bother me, though. And, you know, there's a small chance I could change my mind."